I am typically very strict about preserving this journal as a non-political space, but the events on Parliament Hill are too exciting to pass up. Furthermore, it is my position that everyone involved needs a swift non-partisan kick in the head, and I am more than happy to deliver it. 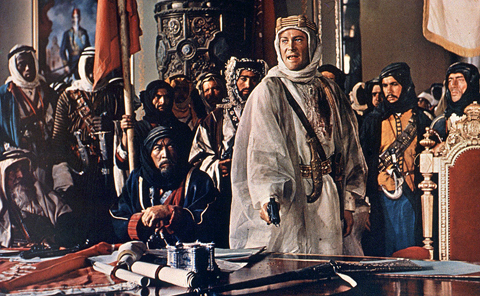 At this precise moment in history, I am reminded of the scene at the end of Lawrence of Arabia where the Arabs run the Turks out of Damascus and promptly descend into inter-tribal squabbling over basic matters of infrastructure. I am also told that Lawrence of Arabia is Stéphane Dion’s favourite film. If that is so, I’m not sure he was paying attention. There is no question that the coalition-in-waiting—or, as some have come to call it, the New Libs on the Bloc—has the constitutional and democratic footing to oust the Tory government on a confidence vote. Coalitions are a feature, not a bug, in the parliamentary tradition; in fact, I prefer stable coalitions to outright party mergers. The legitimacy of the agreement does not mean the move to topple the government is anything but an ill-timed, moronic, and utterly shameless manoeuvre. At least wait for the budget, you dummies. When the electorate has chosen, within the last month and a half, to place their trust in the perceived party of patient fiscal prudence by granting them a stronger plurality (if not a majority) of seats in the Commons, forming an emergency coalition on the basis of unknown hair-trigger stimuli that will no doubt involve concessions to the socialists is not my idea of stable governance. Irrespective of Gilles Duceppe’s signature on the agreement, the Governor General is within her rights, not to mention her faculties of reasoned thought, to take this to the electorate rather than green-light the coalition. We are looking at a prospective Liberal-NDP government that does not have a plurality in the House, the stability of which rests on the approval of the Bloc Québécois. We are looking at yet another minority serving as a de facto majority on the strength of a non-governing separatist party’s endorsement, only this time it comes signed and sealed. We are looking at a 114-seat government with a 143-seat Official Opposition. The optics are horrendous. The right move at this juncture is to call an election with the coalition agreement on the table for everyone to see, and make it a referendum on both the proposed coalition and the Tories’ post-election tactics—the political party subsidy, the NDP conference call tape, the works. Sadly, not happening. Assuming that neither an election nor a prorogue occurs and the coalition takes power, which is shaping up to be the likely scenario, the right move for one or all of Michael Ignatieff, Bob Rae, and Dominic LeBlanc is to promise an election call as part of their respective leadership bids. Their fates, and that of the Liberal Party, will ride on whether they manage to facilitate a dramatic economic recovery. The sooner they can be rid of the NDP and the Bloc, the better. Sadly, not happening. The wrong move, for the Tories, is to dump Stephen Harper without prior pause for thought. Given how much they spent in the last campaign on massaging his middle-class image, he’s in the best position to ride the popular backlash should the economy implode on the coalition’s watch. Sadly, not happening. On second thought, let’s wait until Peter MacKay goes head-to-head with Michael Ignatieff, the NDP and the Bloc fade into the background like they should, and we can put the inmates back in the asylum and forget this ever happened. Can I dream—or is it written?